This investigation was jointly reported by WBUR and the New England Center for Investigative Reporting. The digital version, by Jenifer McKim of NECIR, is below and at NECIR's website. 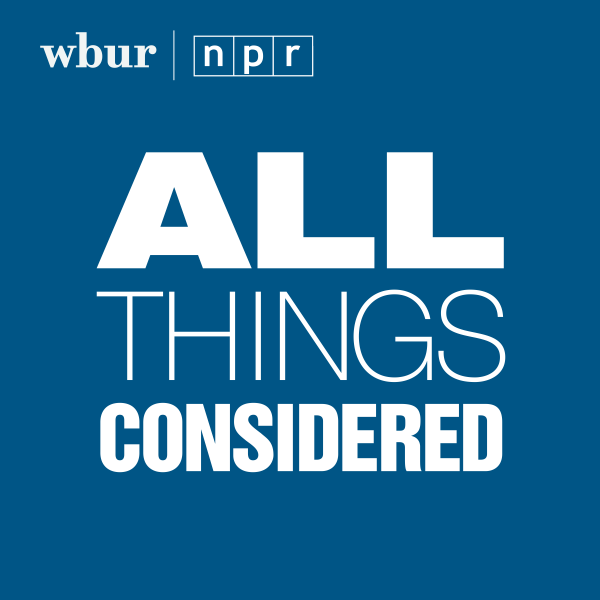 The radio version, by WBUR's Bruce Gellerman, aired in five parts. Listen to them all here: Part 1 - Part 2 - Part 3 - Part 4 - Part 5. 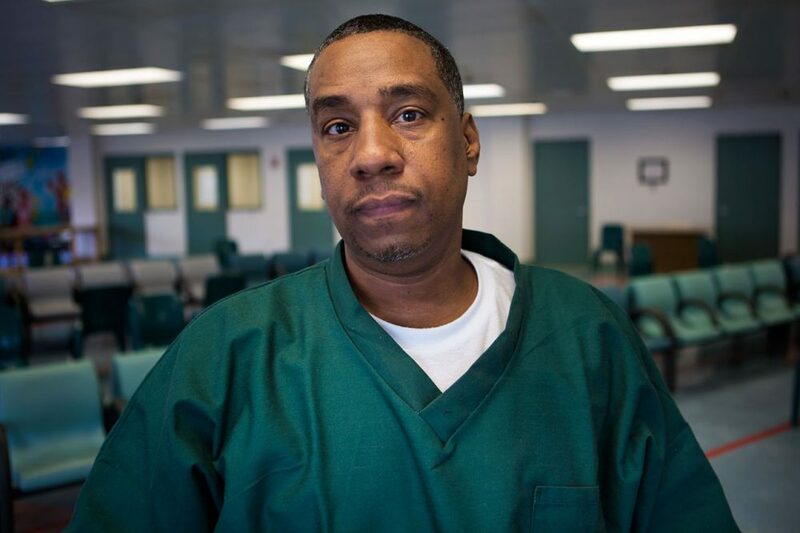 Darrell “Diamond” Jones has been in a Massachusetts prison for 30 years for a murder he says he didn’t commit. Now the 48-year-old convict, his hair turned salt-and-pepper over the decades, is hoping that a snippet of grainy video from an old TV sitcom will help set him free. In a new court filing, Jones says that police tampered with a videotaped interview of a key witness shown at his 1986 trial to remove evidence that could prove his innocence. As the video played in the courtroom, a brief segment of the “The Phil Silvers Show,” a 1950s send-up of Army life, suddenly appeared in the middle of the interview. Police attributed the bizarre non sequitur to an honest pretrial mistake handling the tape. But forensic specialists and lawyers working for Jones say technology not available at the time of the trial shows that explanation can’t be correct, and that as much as 136 seconds was cut out, suggesting a deliberate “crash edit” that removed witness statements favorable to the defense. The videotape allegations are part of a motion filed in October to reopen the case in Plymouth County Superior Court, where Jones was found guilty of the 1985 murder of alleged Cuban cocaine dealer Guillermo Rodriguez in Brockton, about 25 miles south of Boston. Jones, then 19 years old, was sentenced to life in prison without the possibility of parole. Prosecutors provided no motive and offered no physical evidence linking Jones to the crime. None of the eyewitnesses testified in court that they were sure Jones was the shooter, although one said he looked similar to the killer and at least three had picked him out earlier in photo lineups. An all-white jury convicted the young black father after three days of deliberations. Interviews, newly surfaced records and forensic analysis portray a case tinted by evidence favoring the defense that didn’t make it to trial, alleged racist comments by jurors, and police who ignored other suspects and coaxed witnesses to pick Jones in photo lineups. His court-appointed attorney presented only a brief defense, and admitted later that he wasn’t sure he "was functioning with any sense at all” during the time of the trial, the New England Center for Investigative Reporting and WBUR found. The defense attorney, Kenneth Elias, died in 2013. More than 300 exonerations based on genetic evidence since 1989 have shed new light on how often the criminal justice system sends innocent people to jail in the U.S. In many of these cases, the unique traits of convicts’ DNA failed to match the forensic evidence -- often blood or hair from a crime scene — that originally linked them to homicides. The Jones case is part of a growing effort to prove innocence based on non-DNA evidence, using technology unavailable at the time of conviction or new evidence casting doubt on eyewitness accounts. One-hundred-and-nineteen people were exonerated without DNA evidence in 2015, more than double the level of 2011, according to the latest data from a registry kept by the University of Michigan Law School. Misconduct by police or prosecutors and inadequate legal defense contributed to about half of all exonerations in the registry since 1989. In Massachusetts last year, the state Supreme Judicial Court created a 12-member commission to minimize risks that faulty eyewitness testimony -- caused by problematic memory or suggestive, leading-the-witness-type police work -- will send innocent people to jail. Faulty eyewitness testimony helped convict 72 percent of those proven innocent with the help of DNA since 1989, according to the New York-based Innocence Project. Richard Sproules, then a Brockton police captain who supervised detectives working the Jones case, said he questions whether justice was served after hearing about the videotape and reviewing the case with a member of the convict’s legal team. Sproules pleaded guilty in 1990 to stealing drugs seized as evidence by the department, following several investigations into drug-related corruption in the Brockton police force. Sproules said in a recent interview that he was an “addict and alcoholic in full tilt” during the five years before he was caught in 1989 -- which included the period when police investigated and testified against Jones. Sproules, who served 28 months in state prison and is now 71, said he is speaking out because he knows firsthand what it is like to be incarcerated. He said he is surprised that the district attorney decided to prosecute in light of what he now sees as a weak case. “What evidence is there that he did it?” asked Sproules. The court should “take a hard look at allowing him a hearing” to reopen the case, he said. Persuading the court to take another look will be an “uphill battle,” according to Lisa Kavanaugh, who represents Jones and is director of the Innocence Program, part of the Massachusetts public defenders’ office. Of more than 600 inmates who have applied for help since her program began in 2010, Kavanaugh and other attorneys have filed new trial motions in 21 cases -- and only seven of them have been granted. Kavanaugh said that the new evidence in the Jones case will help. The videotape shows a witness, Terie Lynn Starks, being interviewed by police prior to the trial and identifying Jones as the shooter — which she didn’t do while on the witness stand in court. Starks — who was under arrest and in jail at the time on prostitution-related charges — picked a picture of Jones out of a photo lineup after police already said they had arrested him. She hoped her cooperation would help her with the charges she faced, according to an affidavit from a lawyer who interviewed her on behalf of Jones. The Brockton Police Department declined to comment for this story. The Jones conviction “has repeatedly been affirmed on appeal,” said Beth Stone, a spokeswoman for the Plymouth County district attorney’s office, which prosecuted the case. She said prosecutors will respond to the new motion, which follows an unsuccessful appeal and the denial of two other moves to reopen the case in 1992 and 2000. The right person was convicted, according to one of the police investigators in the case, who's now retired. “There is no doubt in my mind” that Jones is guilty, said Fotis Colocousis, taking a break from mowing his lawn to answer questions. He said he and his colleagues used straightforward police work, following leads that took them to Jones. Sitting on a flimsy chair in the visitor’s room at a maximum-security prison about an hour from Boston, Jones urged people to read trial transcripts and police records, many of which his legal moves have helped bring to light. He said he doesn’t expect anyone to believe he’s innocent without considering all the evidence. After one of his sons was murdered, Jones was barred from attending the 2008 funeral. While in prison, he launched a program to help troubled youths, and married and separated from an activist who helped him with that campaign and with his legal efforts. Rodriguez was fatally shot in the parking lot of a now-shuttered D’Angelo’s sandwich shop across the street from Pete & Mary’s bar, known by Brockton police and former patrons as a seedy hangout popular with cocaine dealers and their customers. Rodriguez -- 6-foot-1, 210 pounds -- lay on the ground pleading for help before the ambulance whisked him away. His wallet and a gold chain were later found at the scene, suggesting robbery wasn’t the motive. Prosecutor Kevan Cunningham told the court that Jones left Pete & Mary’s to buy a steak-and-cheese sub at D’Angelo’s with a woman named Brigite Strothers. Jones walked back into the bar and minutes later, came out onto the street pushing Rodriguez ahead of him and then shot him, Cunningham said. According to the state’s case, Jones took off on foot, followed by two eyewitnesses who had been eating sandwiches in their car when they saw the attack. Prosecutors said he lost them a few blocks away after he jumped a fence, and discarded a .32 caliber automatic in a nearby bar, before returning to Pete & Mary’s. Police later were able to link the gun to the bullet that killed Rodriguez, who died later in the hospital. But there were no fingerprints on the gun. Prosecutors produced no evidence that it belonged to Jones. Strothers -- who still lives only blocks from the crime scene — told NECIR that police pressed her to say Jones was the killer, which she refused to do. She says she thinks he was set up, although she doesn’t know why. At the trial, Strothers testified she drove away from the bar and the murder scene before the shooting happened. Jones agrees he bought a sub and went back to the bar to eat it. He says he was sitting with friends when police arrived at the bar and told them about the shooting. The defense presented three witnesses who testified Jones was in the bar eating a sandwich when Rodriguez was shot. Not everything she said at trial helped the defendant. While Jones says that to this day he doesn’t know what Rodriguez looked like, Anderson testified that she saw the two of them talking in the bar earlier that night. Jones has never claimed to be a saint. He racked up four juvenile arrests for breaking and entering, stealing and assault during an 18-month period before his 18th birthday. After he shoved a school security guard, he was kicked out of Boston’s English High School in the 10th grade, Jones said. As an adult, he also had a misdemeanor conviction for stealing a wallet in Brockton several weeks before Rodriguez was shot, for which he received a $50 fine. On the night Rodriguez died, he says he stepped out on his pregnant girlfriend and their 15-month-old son at home in Boston and hopped a bus to meet other girls in Brockton, where he had a group of friends and bartenders didn’t ask his age. He says his nickname, “Diamond,” came from his ability to attract girls. Despite his wandering, Jones said he had been trying to do right by his young family. He had earned his high school equivalency diploma and was working part time as a security guard. Cheryl Frederick, his Boston girlfriend, told NECIR that she knew Jones was cheating on her but put up with it because he helped out with their son and was “really in love” with her. Rodriguez, a Cuban national with Miami ties, was 43 years old, married with an infant daughter. Described as a laborer on his death certificate, he was killed while facing charges of possessing and distributing cocaine. Police records show Jones was quickly flagged as the main suspect. On the night of the murder, Colocousis writes that he showed up at D’Angelo’s responding to a reported stabbing. Instead, he found Rodriguez on a stretcher with a bullet wound. An officer handed him a slug that fell out when Rodriguez was rolled over. Police quickly zeroed in on Jones. At 4:30 p.m. the next day, Colocousis wrote in a police report, he visited an informant named Robert Allen who told him the shooter was someone known as Diamond. The detective’s report described Jones as a tall 18-year-old who “carries a .38” gun and was “supposedly wanted” under outstanding arrest warrants in Boston. Colocousis wrote that another officer heard from an unnamed source that Diamond was Jones -- described by the officer as “dangerous and very clever,” supplying a group called the “Commandos” with weapons. Jones said in interviews that he’s amazed by what he’s read in these police reports, which he first saw a few years ago. He said that he was not a gun supplier, had no outstanding arrest warrants, and wouldn’t have needed to lift a wallet or ride buses if he were a sophisticated criminal. Jones said he never heard of the Commandos, which may have been a small local gang. His criminal record — available in the prosecutorial file — shows no history of weapons possession or outstanding criminal warrants at the time of the killing. The informant interviews apparently helped turn the spotlight on Jones. On the same day police spoke to Allen, a memo from Det. Donald LaGarde described Jones as the “prime suspect” and LaGarde, now deceased, showed a witness who had been near the crime scene a photo lineup including Jones. Other leads appear to have been ignored. Det. Joe Smith, who was assigned to the homicide investigation three days after the shooting, wrote in a police report that a Brockton bus driver named Steven Betts “has been mentioned several times as possibly being the one that did the shooting.” He interviewed a former girlfriend of Betts, who said he “might have been involved in the shooting,” records show. Betts -- who had many run-ins with the law — died in 2003 of liver failure and alcohol abuse, according to his death certificate and criminal history report. Available police records don’t show that anyone interviewed Betts about the Rodriguez killing. His brother Keith Betts, found in October at his Brockton home with a tidy lawn covered with Halloween decorations, said he had never heard before that his brother was a suspect or was questioned about the shooting. “I would have known,” he said. James Trainum, a former homicide investigator in Washington, D.C., said the Jones case shows signs of “tunnel vision,” in which police decide a person is guilty and then filter out inputs that don’t support their conclusion. Former Det. Smith, reached by phone, declined to discuss the case. “What's on paper is what happened,’’ he said. Six days after the shooting, Jones said he heard that police were asking about him, so he called them and told them he was coming in to talk. Police records don’t show any calls from him that night. He said he stopped for a meeting with his father at Pete & Mary’s, where police picked him up. But things turned serious quickly. Weeks later, Jones was charged with murder and said he was unable to pay bail, initially set at $49,000, and spent 10 months in jail waiting to face a jury. On the first day of trial, defense attorney Elias -- a tall man with a booming voice and unkempt hair -- told the jury not to draw any conclusions from the unconventional seating he’d arranged for Jones. Instead of sitting next to Elias, as is customary, the defendant had a chair in the prisoner’s dock behind him -- about 10 feet behind, Jones said. Separation prevents a defendant from instructing his attorney immediately as evidence is presented and could prejudice the jury against him by setting him apart, according to legal experts. Jones was surprised three days into the trial, when Elias notified him that he had represented three police officers testifying for the prosecution -- Colocousis, Smith and LaGarde. The judge asked Jones whether he wanted another attorney, and he declined. Today he says he regrets that decision, didn’t understand his rights, and was worried a new lawyer would have been costly to his family. Before his 2013 death, Elias said that his legal practice was in disarray while he defended Jones because he had too many clients. While he represented Jones, he was also facing allegations before the state bar association that he had moved a client’s money into his own account, which ultimately led to a seven-year suspension from practicing law. Elias billed 14 hours of investigative work in the Jones case. Six trial witnesses -- including Anderson, who testified for the defense — told NECIR or the Innocence Program that Elias didn’t interview them before the trial. Jones said Elias met with him for two-and-a-half hours in the 10 months he was in jail awaiting trial. Spending so little time investigating and failing to preview witnesses represent major weaknesses, according to Mike Hussey, president of the Massachusetts Association of Criminal Defense Lawyers. “Any time you have that kind of situation, one has to seriously consider whether a tragic miscarriage of justice has occurred,” he said. Elias appears to have missed another opportunity presented by the case records -- the inconsistencies between eyewitness testimony and the size of the man they convicted. At least four witnesses, either in depositions, court or grand jury testimony, described a shooter who was noticeably shorter — as much as a foot shorter — than Rodriguez. Jones, at 6 feet, is only an inch shorter than the height listed for the victim in his autopsy. “He should have told me to stand up,’’ Jones said. Elias “was completely and utterly out to lunch during this case,” Kavanaugh, of the Innocence Program, said. Was There A 'Crash Edit' On The Video? Terie Lynn Starks was sitting in a Cadillac Eldorado outside D’Angelo’s with a group of friends on the night of the shooting. Brockton police arrested her about two weeks later on outstanding warrants and quickly expressed interest in what she had seen in the parking lot. In a videotaped police interview shown at trial, Starks sat between officers Smith and LaGarde. She told police she was in the passenger seat after drinking a couple of rum and cokes. The music was on and the windows were rolled up when she saw a “smaller guy” pushing a “taller guy” across the street, she said. “When they got to the sidewalk, I saw a gun,” she said. The interview was interrupted when the color video suddenly cut to a black-and-white scene of a singing soldier from an episode of the old Silvers TV show and then returned to Starks and the police. At the trial, Smith testified that the cutaway happened when he accidentally hit “record” instead of “play” on the VCR while running the tape for Elias before the trial. Jones and his attorneys say new, digital analysis of the tape by experts they hired points to the conclusion that the tape was altered on purpose to remove Starks' statements favorable to the defense. The new evidence “strongly suggests that the police deliberately performed a crash edit” of the interview by recording from the master tape to a copy tape while removing content, according to the motion to reopen the case. Smith’s explanation for the interruption is “not possible” because police must have rerecorded the interview onto a tape that already had the TV show on it, according to an affidavit supporting Jones’ motion from Jeff Spivack, owner of a Florida multimedia firm that specializes in examining recordings. Jones believes what was carved out of the tape at the very least conflicts with the prosecutor’s account of events. According to a memo from LaGarde released by Brockton police in 2011, Starks told police during the videotaped interview that the shooter and the victim had not approached the scene of the murder from the front door of Pete & Mary’s -- as described by Cunningham, the trial prosecutor. The memo says she saw them approaching the parking lot from another street about a block away. No account of a statement like that appears on the videotape. According to Jones’ plea, seeing the complete video could have changed the jury’s mind about the prosecutor’s efforts to identify Jones, which relied heavily on his movements that night. In the video, Starks picks a picture out of a photo array, and Det. Smith then says she has selected Jones. In court, Starks said she couldn’t “be positive” that he was the one who killed Rodriguez. Other testimony also cast doubt on Jones’ guilt. Paul Jones -- who is no relation to Darrell -- told police that he was with his girlfriend Denise Perkins at D’Angelo’s the night of the shooting. He said he was buying sandwiches when two African-Americans -- a young man and woman -- arrived to buy food. The man, he said, returned to Pete & Mary’s, and four or five minutes later came back out pushing a taller Cuban man, and shot him in the parking lot. Jones, now 54 and living in nearby Avon, says he is still confident that the man who purchased the sandwich killed Rodriguez, in a shooting that still unnerves him. At trial, Paul Jones told the jury that he wasn’t certain that the man he saw in the courtroom — Darrell Jones — was the shooter. “I did not point him out because I wasn’t 100 percent sure it was him,’’ Jones told NECIR during a recent walkthrough of the crime scene. On the witness stand, Perkins also said she wasn’t sure, but pointed to Jones when she was asked if anyone in the courtroom was “of a similar description” to the shooter. Perkins later said that police prodded her to identify Jones in photo lineups. The Massachusetts Supreme Judicial Court’s commission examining police-identification practices has recommended that police who show photos to witnesses should not know who the suspect is, and should not confirm a witness’s choice -- which could lead to them being more confident about identifications in court. Lisa Pina, another eyewitness who was in the same car as Starks, testified in court that she couldn’t identify Jones as the shooter. “I did not see much that night, but I felt like the police had their own idea of what happened and they wanted me to come to the same conclusion that they did,” Pina said in a 2014 affidavit filed with the motion for retrial. Jones said he had planned to testify in his defense but didn’t after Elias advised him not to -- since he had failed a lie detector test in a pretrial interview in which he said “no” when asked if he shot Rodriguez. On the first day of its deliberations, the jury asked the judge for a definition of “beyond a reasonable doubt.” The next day, it said it couldn’t reach a unanimous verdict, as required by law. After the judge told them to keep trying, they returned a guilty verdict on the third day. Eleanor Urbati said she was the last juror holding out for not guilty. Initially unconvinced by the evidence, the retired telephone operator said in a recent interview that the judge’s instructions when things were deadlocked — to find a way to agree — persuaded her to give in. Another thing that troubles Urbati: two jurors’ comments that she deemed “racist.” On the first day of deliberations, she said both of them believed Jones was guilty. “Because he’s black?” she asked. Urbati said she couldn’t remember the two jurors’ names. Anthony Padula, another juror in the case, said he had no memory of anyone saying they believed Jones to be the killer because he is black. “The evidence as far as I am concerned is that 30 years ago he was guilty as sin,” said Padula, who now lives in Maine. He said he was convinced partly because eyewitnesses identified Jones as the shooter and picked him in lineups. For Jones, it’s not done. His new motion to reopen the case could take months to decide. He says he’s still waiting for the government to produce evidence showing he was the killer.